Video footage shows the officers brutally kicking the unconscious victim in Athens, Greece. 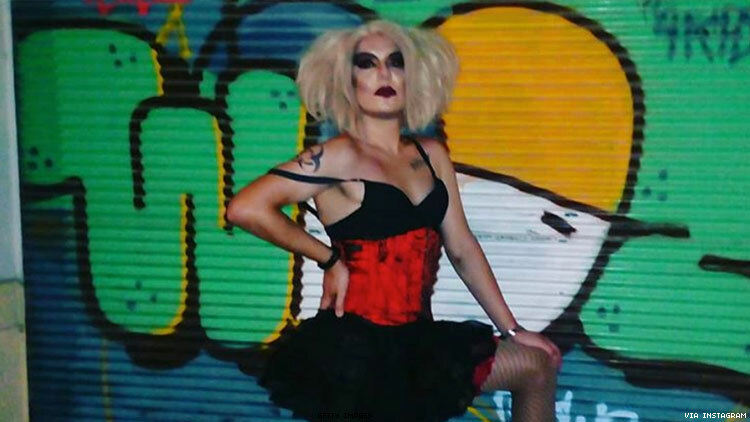 Four police officers have been charged with causing fatal bodily harm against Zak Kostopoulos, a beloved Greek drag queen and LGBTQ activist, reports Gay Star News. As previously reported by OUT, Kostopoulos, who goes by Zackie Oh, was beaten past the point of consciousness outside a jewelry stores in Athens, Greece on September 22. A brutal video emerged of the attack, in which Zackie is kicked by police officers, the shop keeper, and an additional assailant. The footage ends with police and emergency responders putting Kostopoulos sideways on a stretcher, and his hands seemingly cuffed behind his back. He died before reaching the hospital. - Και πως θα σε αναγνωρiσω; - Έχω ντυθεί Βαρουφάκης. Previously a shut case, police were forced to reopen the investigation after the coroner’s report revealed that the 33-year-old activist died from a heart attack sustained during the assault. While local news affiliates and police referred to Kostopoulos as a drug addict, claiming he had a knife and was attempting to rob the shop, the toxicology report did not find any drugs in his system. The police officers claim they didn’t use excessive force to detain Kostopoulos, but the video footage shows otherwise. Punk is not dead and sluts do it better. The victim’s parents are pushing their lawyer to increase the charges to first-degree murder.